At Brayer, we work a little differently to other kitchen companies in the Richmond area – all of our bespoke kitchens are designed and built on site. And when you make an appointment to come an visit us, you’ll find our showroom is also our design studio, and that our design studio is just upstairs from our workshop where we craft your dream kitchen from scratch. The close proximity of our design studio and workshop gives us the benefit of face-to-face communication between our designers and craftsmen – something that, in our experience, really makes all the difference to the quality of the finished product. 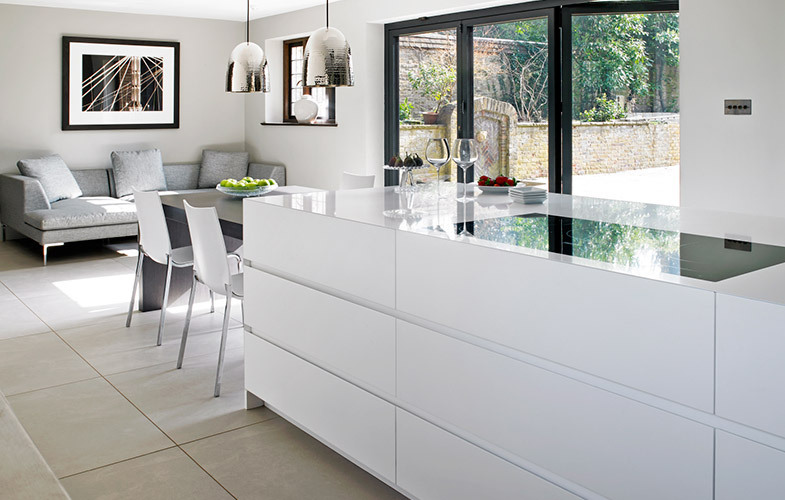 We design and install kitchens for homes located all over South West London and North Surrey. We have designed, created and installed kitchens in Richmond and the neighbouring areas of Kingston-upon-Thames, Teddington, Twickenham and Wimbledon. Our design studio/showroom and workshop (map opposite) is located in Surbiton and therefore within very easy reach. If you need help creating a kitchen that looks incredible and works for you and your family, we’d love to hear from you. Please feel free to get in touch with us to arrange an appointment to talk through your current space, work out what’s on your kitchen wish list and what’s not. We’ve been in the bespoke furniture making business since 1918 so we’ll also be able to advise you on the best materials and methods for the job.